The Religious Studies and Philosophy Department equips students with the means to examine critically and objectively fundamental truths about humanity, its place within the universe, and human understandings and experiences of ultimate, greater realities. Its course offerings share a common commitment to the reasoned and respectful exploration of beliefs and issues crucial to human existence and to the development of the student’s capacity to comprehend and evaluate questions that pertain to life, what gives life meaning, and what is ultimately true and real. Religious literacy is a central component of preparatory education in an increasingly connected global society. The department aspires to foster a more humane, aware, and conscientious student and neither presumes nor promotes the particular ideals and values of any single system of belief. Its course offerings compel students to reflect actively upon responsible, consciousness-raising education as a component of meaningful social diversification and their overall intellectual and personal formation. Students in the Third Form are required to take and complete the Sacred Texts and Ancient Peoples course. Students who enroll in the school after the Third Form are required first to complete the Comparative Religion course. Thereafter, all students must complete a minimum of any one-term departmental course offering at any point in or beyond the winter term of the Fourth Form, or in the fall term of the Fourth Form, pending departmental permission. This course utilizes a comparative and conceptually-based methodological approach to introduce students to the phenomenological study of religion. Students identify fundamental concepts that comprise various manifestations of religious thought, meaning, experience, and behavior. The concepts are then examined within the purview and historical unfolding of five of the world’s major religious traditions (Hinduism, Buddhism, Judaism, Christianity, and Islam), in order to compare how adherents of these traditions in diverse times and places have adapted and reinterpreted them, while simultaneously maintaining continuity with their prior forms and expressions. By employing a methodology that not only is conceptual and historical, but also gives precedence to the first over the second, the course fosters a systematic and critically-disciplined understanding of religion. This course examines the history, significance, and contemporary realities of Jerusalem, an ancient city of religious centrality to Jews, Christians, and Muslims. It examines the ancient origins and subsequent development of Jerusalem, with a special focus on its archaeological, literary and historical evidence. It then explores the religious centrality and meaning of Jerusalem for the world’s three, major monotheistic religious traditions – Judaism, Christianity, and Islam. Additionally, it surveys the symbolic expression and imagination of Jerusalem in art, literature, and other modes of popular culture. Finally, it examines the challenging, contemporary realities of Jerusalem as a city of heightened political significance. This course examines the underlying causes, associated issues, and ongoing repercussions of the tragic process of destruction of European Jewry from approximately 1933-45 known as the Holocaust (Hebrew: ha-Shoah). The course examines the historical span and development of both anti-Judaism and its modern, ideological manifestation, anti-Semitism, that together laid the groundwork for the development of Nazi Germany and the Holocaust. This will be followed by an investigation of the events of the Holocaust. Thereafter, it focuses attention on the aftermath of the Holocaust and a range of its ongoing ramifications, including: approaches to studying the Holocaust; Holocaust denial; Bystander Effect; the Holocaust in Israeli society; Holocaust literature; contemporary manifestations of anti-Semitism; Jewish theological responses to the Holocaust; and, academic anti-Semitism. Why do people do what they do? How do people determine morality and make ethical decisions? What frameworks help societies to formulate ethical questions and examine their conclusions, related conduct, and behavior? This course explores classical ethical theories such as Utilitarianism, Egoism, and Cultural Relativism and examines how they may be applied to contemporary situations that require moral clarity and discernment. Case studies may address such issues as: environmental ethics; abortion and euthanasia; social justice; capital punishment; and, media ethics. The materials for the class include textbook readings, primary sources, popular culture, and news media. Taught jointly by the Religious Studies and Philosophy Department and the History Department, this course introduces students to the world’s great religious traditions and the cultures that produced them. The course begins with the traditions of the East (Hinduism, Buddhism, and Chinese philosophies) and emphasizes Western religions (Judaism, Christianity, and Islam) as they developed within their historical contexts, including the ancient civilizations of Mesopotamia, Greece, and Rome. This foundational course seeks to develop students' skills as note-takers, critical readers, analytical writers, and interpreters of primary sources. W. David Nelson earned a BA in Religious Studies from the University of Virginia and both a MA in Bible and Cognate Studies and a PhD in Rabbinic Literature and Thought from Hebrew Union College–Jewish Institute of Religion. Prior to Groton, he served as a member of the faculty in the Jewish, Islamic, and Near Eastern Studies Program at Washington University in St. Louis and as Rosenthal Associate Professor and Director of the Program in Jewish Studies at TCU and Brite Divinity School. He has both studied and served as a visiting research professor at the Hebrew University of Jerusalem. In addition to numerous scholarly articles and book chapters, David has published five books, most recently From Creation to Redemption: Progressive Approaches to Midrash. He has also published: Exodus in the Jewish Experience: Echoes and Reverberations; Re-Presenting Texts: Jewish and Black Biblical Interpretation; and The Mekhilta d’Rabbi Shimon bar Yohai, the first English translation and commentary of this ancient anthology of Jewish interpretation of the biblical book of Exodus. David currently serves as an officer of the board of directors of the Society of Race, Ethnicity, and Religion, as well as on the editorial boards of the Journal of Race, Ethnicity and Religion and the Judaism in Context Series. He is an active member of the American Academy of Religion and currently serves as chair of the Midrash Section for the Society of Biblical Literature. David heads Groton’s Religious Studies and Philosophy Department, heads an Upper School boys’ dorm, and coaches JV boys basketball. He teaches a range of courses including Sacred Texts, The Holocaust, Ethics, and Jerusalem: City at the Intersection of Judaism, Christianity, and Islam. The Rev. Christopher Whiteman is ordained in the Episcopal Church. After receiving a Bachelor of Liberal Arts from the Harvard Extension School, he attended Harvard Divinity School. There he was a Swartz Fellow, Hopkins Shareholder, Williams Scholar, and was named the winner of the 2015 Billings Prize for Preaching. At Groton, he leads Episcopal services as well as weekday chapel services in St. John’s Chapel, teaches Sacred Texts and Ancient Peoples, is a dorm affiliate, and advises three Third Formers. 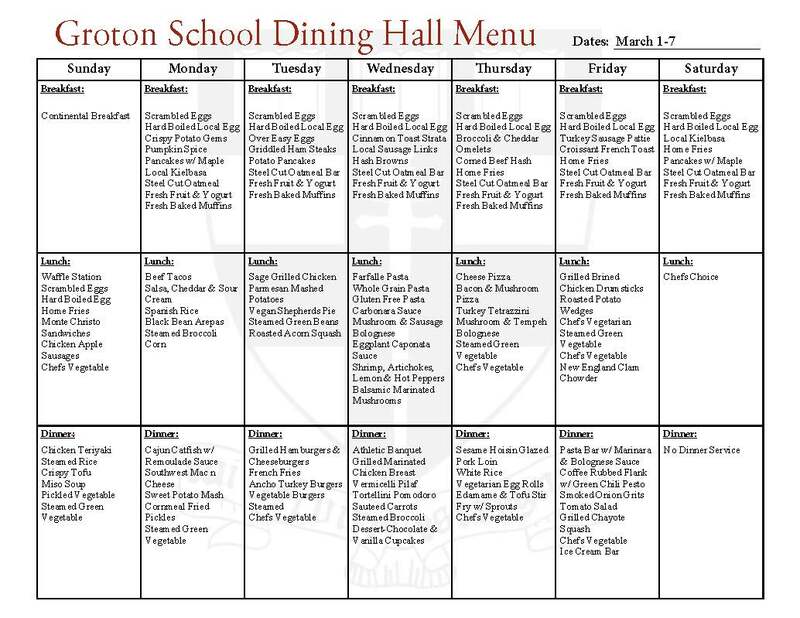 © 2019 Groton School. All Rights Reserved.